I'm working on a new example for an Arduino workshop. 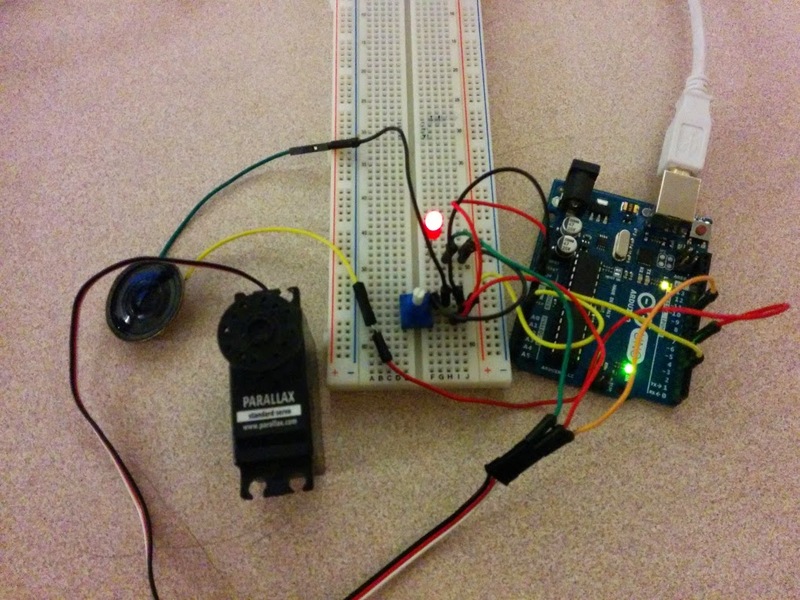 The goal is to use any analog sensor to simultaneously control an LED, speaker, and servo. There is a problem using these functions simultaneously on the Uno. The Atmel 328 doesn't have that many timers so it creates limits on how other pins can use PWM. Anyway this is one of the things I've been working on and not documenting much.